Hello Note 4 users! 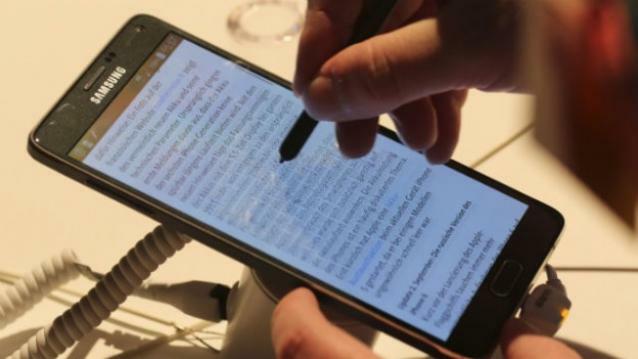 Welcome to another article that addresses more Note 4 issues. As usual, all issues mentioned here are taken from messages sent by some members of our community. If you have your own issue you want to share to us, don’t hesitate to do that so we can help you too. Solution: Hi Nadeem. “Emmc failed” error is a sign that the system is unable to read properly off the storage device. This is either due to a software glitch or a hardware failure. In a lot of cases though, it all boils down to bad hardware. Unfortunately, most cases of emmc failed issue requires repair; you can’t fix it with a software tweak. This is especially true in your case since the phone no longer boots up normally at this point. That said, let a professional check the hardware first and see what happens from there. Depending on the motherboard damage, your device may or may not be repaired. I bought a used Note 4. It seems to work great but it keeps downloading update. When i install it says it was successful but then proceeds to download them again and ask me to install them again. I am only on wifi as i have not had the phone switched over yet. Could that be the problem [no sim] or does it sound like bigger issue? Solution: Hi Chad. There may be a software glitch causing this problem so we recommend that you try a factory reset and proceed from there. Factory reset will restore all software settings back to their defaults. Also, make sure to unroot the device or flash back stock firmware if it’s running custom firmware. Create a backup of your important files such as photos, videos, contacts etc. You can use Smart Switch for this task. Solution: Hi Steve. We don’t know what happened exactly to your phone but updates change core system files and something may have gone wrong. The thing is, there’s no test that you can do to see where the problem lies. You must try to isolate possible factors in order to arrive a fix. To do that, there’s a series of software troubleshooting that you must perform. The next step that you want to do if a cache partition wipe won’t work is to ensure that all apps are in tip-top shape. Go over your list of apps and make sure that you install updates for all of them. If you tend to install apps without checking where they come from, now is to the time to be aware. Incompatible apps can sometimes cause crashing problems, or make other apps behave erratically. Since there’s no direct way to know whether an app is causing a problem or not, this is a trial-and-error step at best. Booting Galaxy Note 4 in safe mode will temporarily disable all third-party or download apps leaving pre-installed ones and core services running. This procedure can help you determine which of your apps is causing a problem. If the problem remains after doing cache partition wipe and safe mode observation, there’s no better way to fix it than by doing a factory reset. Refer to the steps above to see how to do it. I unlocked my T-Mobile Note 4 phone, carrier was MetroPCS — due to year long issues with service. The phone was set between T-Mobile & Metro settings 50/50. Data would not download. Even at 50/50 the data would drop constantly. Got lost a billion times and Google directions would drop GPS constantly or downloads from contacts were slooow. Solution: Hi Ellen. The best thing that you can do about your mobile data issue is to ask support from your current carrier. Although there’s a chance that a device issue is causing it, majority of the time, it has something to do with network-related problem. The advantage of asking support from your carrier for this issue is the fact that they can also help you troubleshoot the device in case the problem is not from their end. If you haven’t done that at this time, make sure that you do it. As far as device troubleshooting is concerned, you are limited to doing a factory reset only. We don’t think it’s a configuration issue because mobile data is actually working, albeit slow. If you’ve already tried a factory reset before calling us, then the best thing that you can do is to seek support from your network. Our support app is up-and-running. It’s been renamed TDG Smartphone Troubleshooting. Please follow this link to download it from Google Play Store. Solution: Hi Boxer. If your computer also fails to detect the SD card at this time, you may be right, the contents or the card itself may be gone for good. Try inserting the card to another smartphone to see for the last time if our suspicion is true. If that phone won’t detect that card either, you must accept the fact that your SD card has failed. My Note 4 will go into a reboot loop for hours, sometimes even after removing the battery. After a while the Android fella pops up saying unable to reboot or installing system update. Solution: Hi Jaimeeantonik. The first thing that you can try is to flash the bootloader. The bootloader is the first series of codes that runs when you start up the phone. It’s independent of the operating system but like any software in your phone, it can also get corrupted, leading to an issue just like the one you’re experiencing. To flash it, you need to follow a certain guide. Flashing guides are phone model specific so there’s no one-size-fits-all one for you. We can give an example of steps how to flash the bootloader but we are not sure if they are exact ones for your device. You must find a good guide for your phone model using Google. Look for the correct firmware for your phone model and download it. Make sure that you select the right one. It should be the same exact firmware that ran previously on your device. We assume that you list down the firmware version somewhere. If you did not take note of it before, there’s a chance that you may pick the wrong one. As you may know now, using an incorrect firmware can cause complications so good luck with that. Let’s now say that you have identified the correct firmware. You then want to download it to your computer. The firmware file should have a bunch of files in it like AP_, BL_, CSC_, etc. Look for the file that starts with a label BL; this should be the corresponding bootloader file for this firmware. Once you’ve identified the bootloader file, copy it to your computer’s desktop or to any other folder that you can easily access. Proceed with the rest of the flashing procedure using the Odin program. In Odin, click on the BL tab and make sure to use the bootloader file you’ve identified earlier. Now, make sure that the “Device Added” status and its “ID:COM box” has turned blue before hitting the START button. This will initiate the flashing of your phone’s bootloader. Restart the phone once the procedure is finished. If flashing the bootloader won’t fix the issue, you can also try to flash the firmware itself. The steps should be slightly different than the ones provided above so, again, make sure that you find a good one first. Open the dialer or Phone app. Tap the box that says Speaker. The phone is supposed to make a sound after tapping this box. If nothing comes out of the speaker, that’s proof that you have a bad hardware. To go back to normal mode, simply hit the Back button. You can’t fix a hardware problem like this so you either have to return the phone and get a refund, or have it tested and repaired. Solution: Hi Lorra32. You did not give us enough information to help us identify the cause of the problem for you. An issue like this does not happen out-of-the-blue. You must have done something different to cause it. If you tried to install something, or change some settings without knowing where they’ll lead, that may be the cause of the problem. We suggest that you check our suggestion for Jaimeeantonik above and see if you can fix the issue by flashing the bootloader or firmware. If flashing won’t solve the problem, consider sending the phone in for repair or replacement. Solution: Hi Cbowers613. We don’t think you’re testing the right functionality here as the speaker is not the problem. Playing music and videos will only allow you to check whether or not the speaker is working. If your recorded videos lack audio, the most likely problem is the phone’s microphone, not the speaker. To check if the microphone is working, try calling someone. If you can hear them but they can’t hear you, the microphone is most probably fried. If this problem started after deleting some system files, do a factory reset.